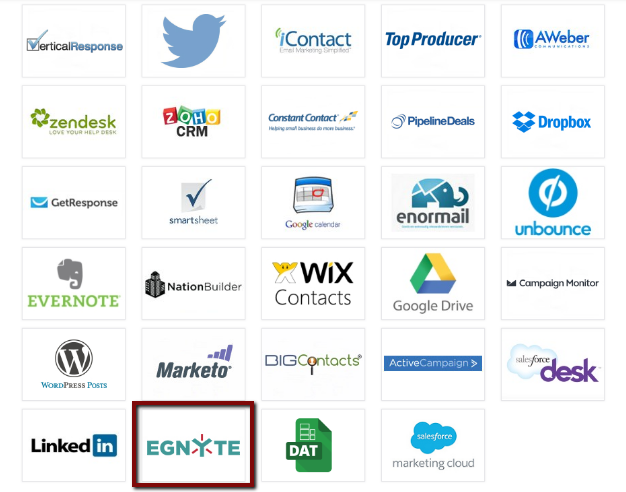 The Egnyte integration allows you to send form data or uploaded files to your Egnyte account. The first step is to access the Settings->Applications section and select Egnyte from the list. You will be redirected to a new page where you can start to set it up. 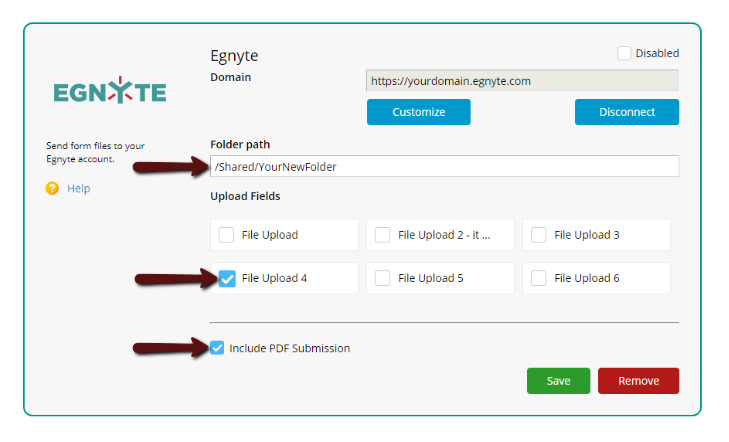 Then, you will be asked to add a valid domain and connect with it in order to customize what content will be sent to Egnyte. You can send the content added through the Upload fields but also a PDF file that will contain the information your form was submitted with. Depending on what you enter in the Folder Path field, you will receive the files in the specified folder. If you enter a path that doesn’t exist in Egnyte, it will be automatically created. Please note that it will always have to start with /Shared then your desired folder. After you select what upload fields will be included in the process, don’t forget to hit Save. I get an error code for my NationBuilder integration (409). What to do?